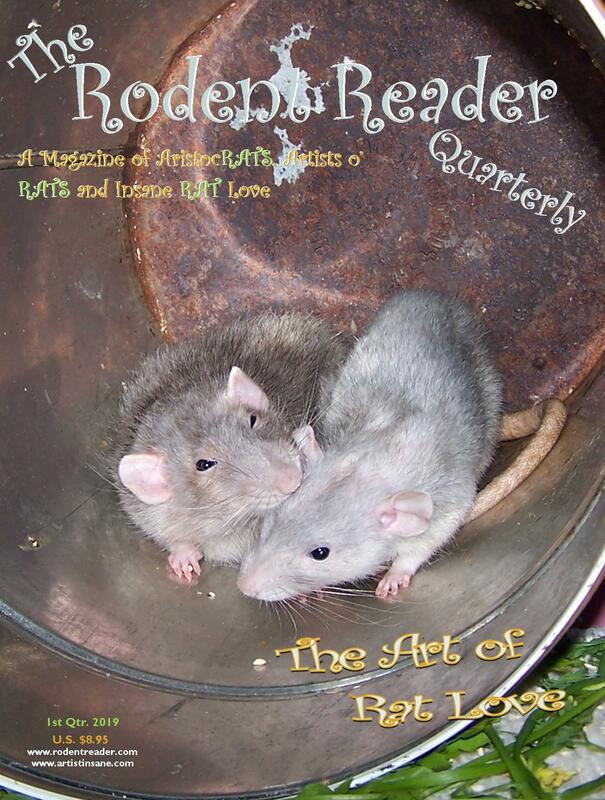 The Rodent Reader Quarterly is now the ONLY U.S. based pet rat magazine available in both PRINT and digital formats! 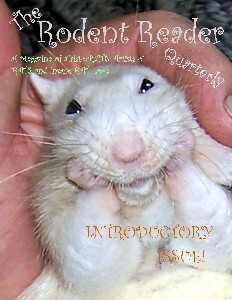 Subscribe today to have rodent facts and fun you can hold in your hands delivered to your door!! The 2nd Qtr. 2019 Issue is nearly completed and will head to the printing company soon! In the meantime, the 1st qtr. 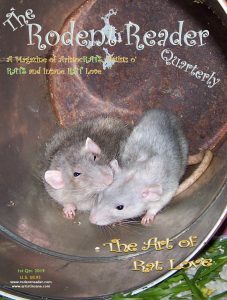 issue is still available… Including the brand new column, “The Rat Lady: Rewind” (reprinted writings of Debbie Ducommun) — plus, Part 2 of an interview with artist/photographer Diane Ozdamar, more Rat History, Legends and Lore, photos by Kim Zier, a new chapter in The Return of Row and Rifflerat, celebrations of 1st qtr. holidays — and much more — it’s an issue you don’t want to miss! Scroll down to purchase. And, don’t forget – TRRQ makes a great gift for any occasion! TRRQ Features 28 Full-color, Oversized (8.5″ x 11.25″) Pages of Articles, Full-page Borderless Photos, Poems, Reviews, a Chapter of a Rat Fiction Book in Progress and much more!!! Professionally printed. And, The Rodent Reader Quarterly contains NO PAID ADVERTISING. It’s TRRQ‘s primary goal to make each issue a positive and enjoyable experience for readers — and rats! Click here to check out a 15 page preview excerpted from the intro issue. The button below is for within U.S. only. Outside the U.S. email me to request a paypal invoice. NOTE: The paypal link below is for purchasing the current issue. To buy the prior ones, click the “back issues” tab in the box at the top right of this page. Back issues and gift subscriptions available, too! Finally, your thoughts and suggestions are always welcome! E-mail me with those and/or any questions anytime.